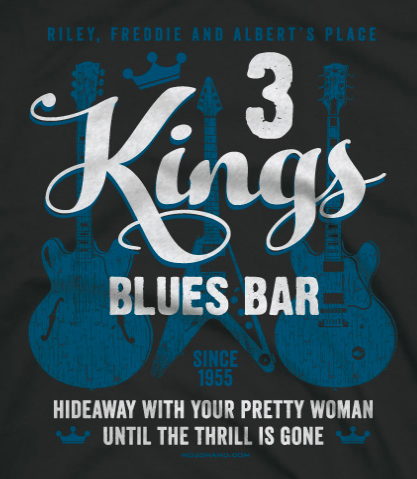 This classic Blues Bar T-Shirt is a Front print on a high quality, cotton tee, Albert, BB and Freddie would be proud of this great Blues Bar T-Shirt! 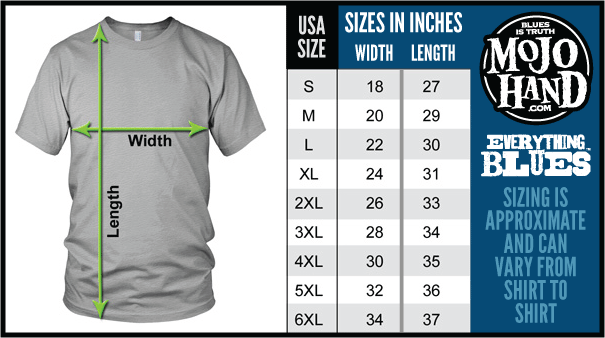 Mojohand Blues tees are often imitated but no one can compete with the quality of my Tees. This is a Mojohand original and exclusive design. Ships Worldwide. 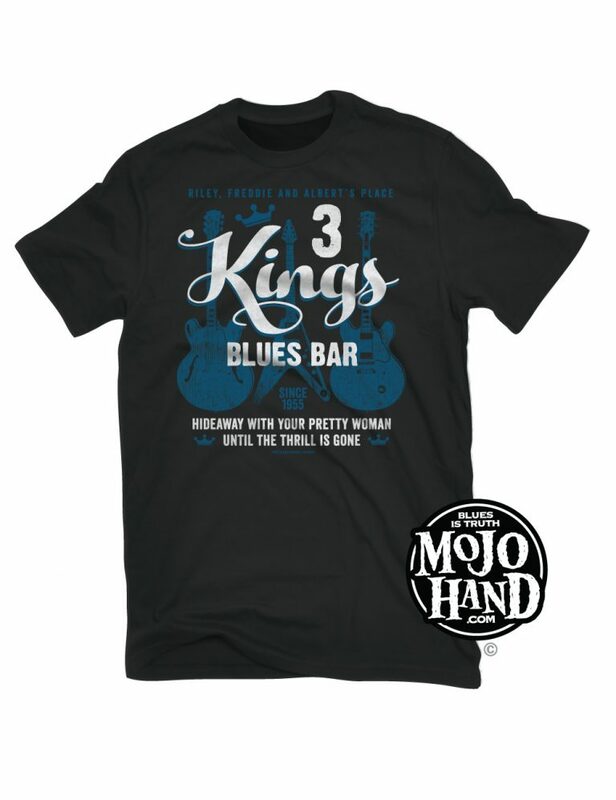 Mojohand.com has had the finest Blues T-Shirt selection since opening in 2001 – whether you are looking for Delta Blues T-shirts, Texas, Chicago, Blues guitar or licensed Blues T-shirts of your favorite performers, you can count on Mojohand.com to have Everything Blues…. all created by Grego Anderson – Blues musician and artist.